Leaks are your roof’s worst enemy. When you spot them on your ceiling, you should immediately call your trusted roofing contractor. That said, the first rule of thumb is to not sit idle until your roofer arrives, because there are several things you can do to achieve a temporary fix to keep the leak from worsening while you wait. Sprague Roofing and Construction, your local roof and gutter repair experts, discusses what these quick roof fixes entail. Once you determine where the leak is coming from (which is most likely your attic), you can cover the hole with a tarp to temporarily stop the leak and prevent a slipping hazard. Use duct tape to secure it tightly to your attic floor. For a bigger leak, strengthen the tarp by adding layers. Roofing tape is another good band-aid solution you can try until your roof repair specialist can make a more permanent fix. Refrain from using sealants and putties, however, as they’re only meant for dry surfaces and won’t do much for the wet areas of a leaky roof. A roof leak isn’t the only damage you can make some progress on while waiting for the professionals. After a storm, you should start by cleaning up any areas where roof debris is littered. In the case of missing or torn shingles, gather what you can find and set them aside out of the reach of pets and children. When your roofer arrives, ask them about asphalt shingle recycling to help eliminate roof waste. Keep in mind that in these scenarios, only a roofing contractor can help you. 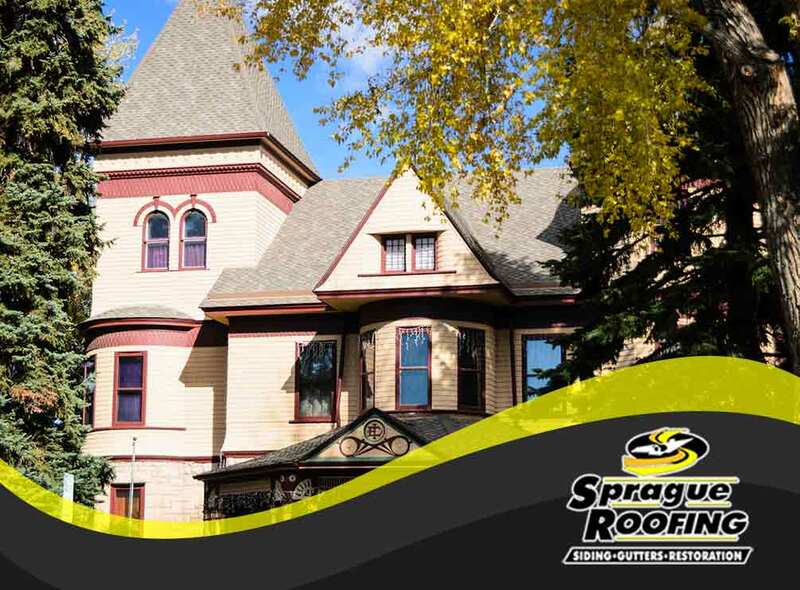 Sprague Roofing and Restoration specializes in restoration services, repair and replacement to improve the quality of your home, and we only ever give our customers our best. Call us today at (307) 269-0998 or (406) 200-9080. You can also fill out our contact form to request a free estimate. We proudly serve homeowners in Wyoming, including Cody and those near Billings, MT.